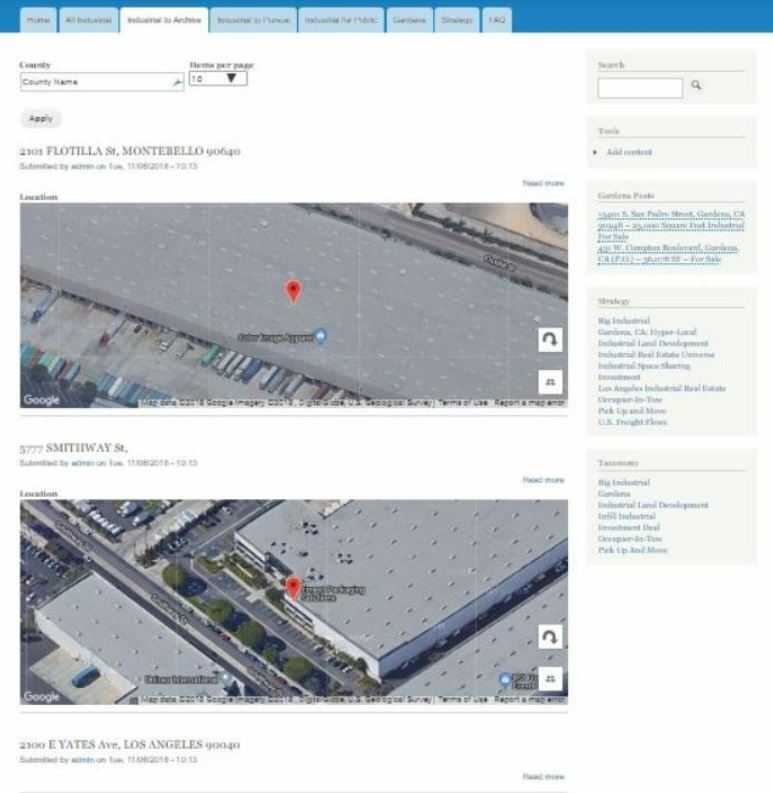 We’ve been working hard on MappSnap as we try different ways to visualize and process industrial property data. By merging Salesforce, Drupal, Parcel Data, GIS, and Street Knowledge, we’ve created a trading platform. Since it’s a 10-year bootstrap operation with a limited budget, there are many holes and broken code. However in the areas where we have put most of our resources, Gardena, of course. 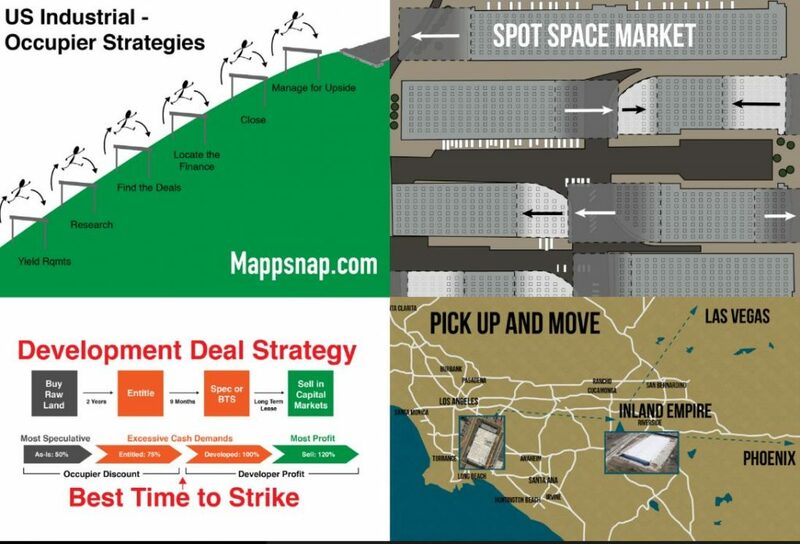 But also Big Industrial, here in Los Angeles, New York, Dallas and other strong industrial markets, we’ve had many notable successes dealing off large properties and portfolios. We’ve developed several strategies. In Drupal, they use the expression taxonomies. We formed the taxonomies graphically represented here and all our data is archived similarly so we can serve up the deals our customers want to see by using primitive prediction analytics. For example, “Occupier-in-Tow” is a strategy to pair an infill or a land development deal with an occupier, capital and long term, mostly institutional buyers. Related areas where our data is suited is industrial parks and buildings especially in transitioning an older building from independent hands to institutional ownership. All major infill locations are suitable. The most fun is collecting street information and archiving the data with photos and video. It’s the final piece of knowledge that is not readily available and often the most valuable. Street knowledge is the way most long standing real estate people have survived over long careers. Tell us your deal and let us see what we can do. This entry was posted in Uncategorized on November 29, 2018 by Nawshad Jamil.